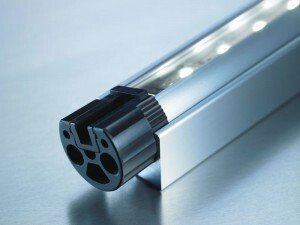 The LED technology has matured into delivering a successful and robust product. We use the cutting edge and superior technology for our production line. By investing a great deal into the research, we develop the technology for the long lasting and efficient lighting solutions. The LED is a semiconductor light source and its working principle is called ‘Electroluminescence’. Photons or light energy is emitted when a light emitting diode is ‘biased foward’ and thus enabling the combination of electons with electron holes within the device. Such a transfer of energy is highly efficient compared with traditional lighting sources. The result is visible as it has been proved that LED lights consume lesser than 30% of energy consumed by a fluorescent lamp with the same luminous intensity or even 10% power consumed by an incandescent bulb. Furthermore, these LED lights have a longer life span..ie more than 10 times the life span of flourscent lamps and more than 20 times that of an incandescent light bulb resulting them to replaced only less frequently.